We have great news to share with you! 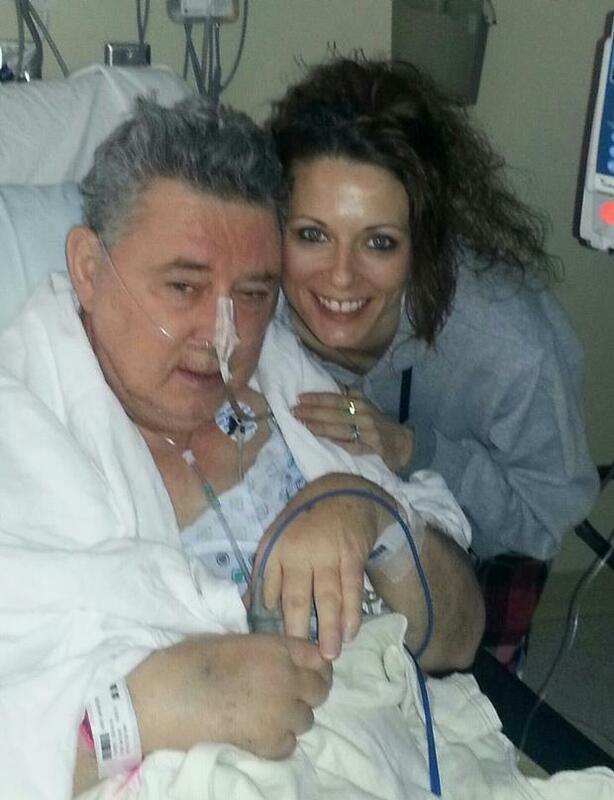 My dad George Coffey received the gift of life – a new lung on March 2nd, 2013. We are so very thankful to my dad’s donor and their family for giving my dad a second chance at life. I am writing to you as my father needs your help now more than ever. Besides being the best father to me and my brother, Billy, he is also a loving grandfather to all his grandchildren and his great granddaughter. He is a loving brother of two sisters, and three brothers. He has a very loving, caring woman in his life, who has been by his side every step of the way during this time. My father has been very sick for years. Despite his illness he has kept up a positive attitude and a determination to live life to the fullest. With his new lung and the amazing donor my dad will soon be able to spend many more years with his family and friends. He will be able to get back to his passion in life which is teaching and helping people understand the Bible. He has been a pastor for over 20 years. As many of you know my Dad has worked in the concrete business for over 50 years which is known to be the cause of my dad’s disease, pulmonary fibrosis. Breathing in the concrete dust for so many years made him very ill and destroyed his lungs. Funding this transplant is a monumental task – a challenge that we cannot meet without your help and support. Although my dad has insurance, there are many uninsured expenses. We are struggling everyday financially. My dad has been living in Pittsburgh, PA for a little while now and will soon be moved to temporary housing for his after care and that is an out-of- pocket expense. In addition to the housing and rehabilitation expenses, Dad will need very expensive anti-rejection medications for the rest of his life. The transplant team, family and friends are hopeful that with Dad’s progress he will be able to return to his home in Mooresville Indiana in about three months. To help alleviate this financial burden of transplantation, a fundraising campaign in my dad’s honor has been established with HelpHOPELive, a nonprofit organization that has been assisting the transplant community for 30 years. All donations are tax-deductible, are held by HelpHOPELive in the Great Lakes Lung Transplant Fund, and are administered by HelpHOPELive for transplant-related expenses only. Your contribution is greatly appreciated. To make a credit card contributions, please call 800.642.8399 or select the “Donate Now” button. 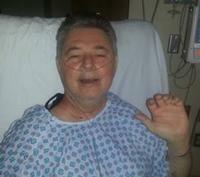 My dad and his family want to thank you for your positive thoughts and prayers. Your support and contributions are greatly appreciated and will help my dad survive this unbelievable challenge. Hello, I think I finally found my old friend George. If he can, maybe call me at 717-817-2056. Sure would like to hear his voice!